The rich, luxurious floors of the Armstrong® Hampton™ Collection add value and comfort to your home with radiant beauty that never goes out of style. This distinctive line of premier floor covering products is hand-selected and precision-built to ensure premium performance and splendid good looks. 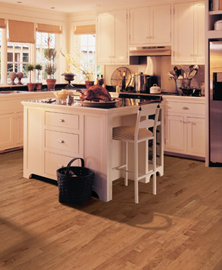 Live gracefully, with the beautiful floors of the Armstrong® Hampton™ Collection. Shop for Armstrong® Hampton™ Collection products here.